What is a 0% cash advance credit card? What is the correct way for a customer to use a 0% cash advance credit card? Many UK credit card customers will know that credit cards allow customers to take a cash advance from the card. This is very often done, by using the credit card in a cash machine, to make a cash withdrawal. However, any cash withdrawal taken in this way, will be charged interest at the very high rates reserved for cash advances. These types of cash withdrawals may also result in a fee being charged. There is no 0% interest free period for any cash withdrawals made from a cash machine, using a credit card. The interest rate charged can often be 27% or more, from the time the cash is withdrawn, until it is repaid in full. 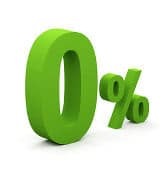 A 0% cash advance credit card, on the other hand, does allow customers to make a cash withdrawal using their credit card, and benefit from an introductory 0% interest free period. A customer can use a cash advance credit card to make what is called a 0% money transfer. This transfers money from the credit card directly into the customers bank account. The customer can then make a cash withdrawal from their bank account to access the cash advance taken from the credit card. When a cash advance is taken from a 0% cash advance credit card using a 0% money transfer, the customer pays no interest for the duration of the introductory 0% money transfer period. A 0% money transfer is sometimes called a super balance transfer. Can You Balance Transfer Cash Advance? If you have already taken a cash advance from your credit card, can you balance transfer that cash advance? The answer is that you can balance transfer a cash advance. If a balance transfer is your preferred method of paying off the cash advance then you should make the balance transfer as soon as possible. With the higher interest rates charged on a credit card cash advance, it make sense to apply for the balance transfer, as soon as possible. Balance transfers can take some time to clear, although most are now completed in a couple of days. It is important to note that with a cash advance, after you have made your balance transfer you may still have a small interest payment to make on the old credit card due to the way the interest is paid. Remember to check and make any payment required to protect your credit rating. There are over 80 balance transfer credit cards currently available in the UK. However, credit cards that allow a 0% money transfer directly to their bank account, are now quite rare. Only a very small number of UK credit cards allowed a customer to make this type of 0% cash advance. Many of the popular cash advance credit cards, that did allow a 0% money transfer to your bank account, have now been withdrawn from the market. A range of alternative 0% credit cards can be found above. Customers looking to benefit from 0% cash advance credit card offers do need to make regular repayments. Customers must make at least the minimum monthly repayment to the credit card company on time each month. The credit card company will charge the customer a money transfer fee. This fee applies for each 0% money transfer a customer makes to their bank account. This money transfer fee is often also higher than the equivalent balance transfer fee. A 0% cash advance credit card can also commonly be referred to as a money transfer credit card.